DebConf12 is drawing closer and closer! Have you ever been to a DebConf? You will surely agree with us: It’s a life-changing event! It’s one of the greatest geek gatherings in the world! It’s something you can’t afford on missing out! It’s… wait..
Oh, sorry, I had my spam mode set to highest. But still, that does not make it any less true. And one third of May has already passed. This means that the first deadlines are just around the corner: next Tuesday (15-may), sponsored registration will close, so make sure to register before it’s too late. But wait… wasn’t this about the call for papers? Right, that’s not the point of my post, I wandered off again. I’m sorry, I just visited Managua last weekend (Holger will soon tell you about our visit), and it’s impossible to keep the mind off the excitement. I wanted to ask you to share your greatest, latest ideas or projects. DebConf is about many things — But one of its most important features is its rich set of talks, usually with very high and interesting contents in the technical, social, organizational levels — Or several of them at once. As always, you will be able to submit talks until a day before you present it. However, it’s best for your intended audience to know bits about your proposed topic, possibly even to share some information beforehand, so that the exposition can be as smooth as possible and the interaction during the talk even more — And this is specially true for BoF sessions. However, we do have one advertised deadline: Talks submitted up to June 1st will be considered to be pre-scheduled. This means, to be part of the officially announced program, and have guaranteed coverage of our (always great) video team. But maybe you don’t feel comfortable presenting a topic. Or you are, but you think it would be important to have several thematically related talks be grouped together. And if you are interested in this group of talks, you will probably know who would be more interesting to invite to present the topics - And will be able to prod them to do so. You can request to coordinate a track. That will ensure you get a contiguous block of timeslots for the talks you schedule, and do a great contribution to DebConf. To add your track, please mail talks@debconf.org. Please, specially if you do so in the few days following May 9, send me a copy to gwolf@gwolf.org, as it seems the alias is not yet set up. This year, we will have a high number of very motivated attendees from the many countries in the Central American region who want to get started in helping Debian, but have not yet found how to do it. Usually we would see local communities as prime material for DebianDay – However, many of them are more interested in getting hands-on tutorials and be mentored into contributing to Debian. So, if you are part of a team working on a given aspect of Debian, or want to get people involved into your project, register it in the Tutorials and mentoring track. See you all soon, very soon, in tropical Managua for the hottest DebConf ever! The Debian Project’s annual conference is slowly coming closer. Visiting places around the world since 2000, DebConf will take place this year in Managua, Nicaragua, in July and will again provide an opportunity for people who contribute to Debian to meet in person for face-to-face collaboration and discussions. At DebConf we try to bring together as many Debian contributors as possible, including those who could not afford to attend from their own resources. You can help make DebConf12 a success by your organisation becoming a sponsor, or by donating money as an individual. Individual donations can be made online in either US dollars or euros. If you are interested in becoming a sponsor, you can find more information about DebConf12 sponsor page or directly contact <sponsors@debconf.org>. In addition to monetary donations, sponsorship can be provided in the form of in-kind donations, or by lending equipment for the conference period. The DebConf12 schedule is finally available! As usual, the DebConf conference can only be finalized a couple of days before DebConf itself starts. But hey — Take a look at it, and start planning your activities! Remember that, even now that the conference schedule is announced, you can still submit talks to DebConf, following what we call ad-hoc talks. What are the steps to do it? Video team coverage (event recording plus streaming on a best-effort basis) will be given to activities scheduled on the Aula Magna and Roberto Terán auditoriums. We will try to grant requests on a first-come-first-serve basis. If two events are requested for the same timeslot, the first will have precedence, and we will schedule the second as close as possible to it. We will notify the submitters if this happens, of course. This track is meant for the local (Nicaraguan/Central American) community to be attracted to Debian. It does not usually have technically minded talks; the DebConf general audience is, of course, invited to take part in it, as there will surely be interesting angles on how Debian is used in different use-cases, and there will be interesting Q&A session with the audience. Central America is a very special region. 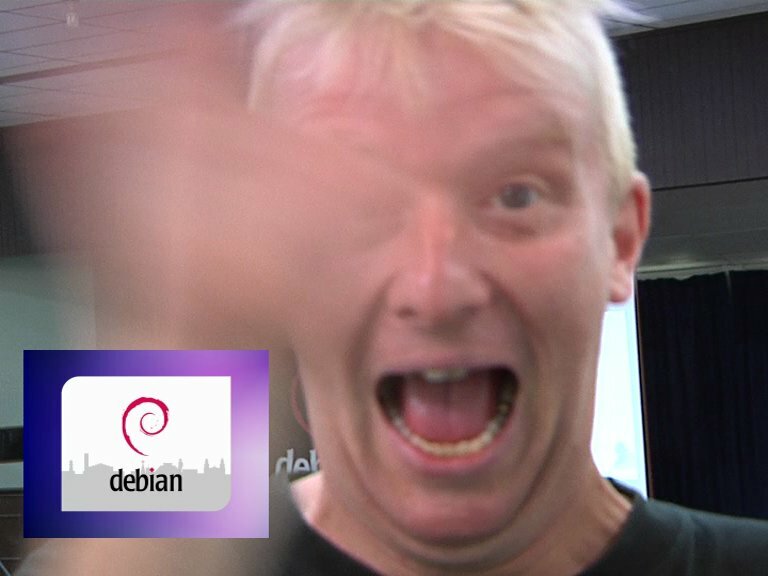 It has vibrant Free Software user groups and communities, among which there is an important interest to get involved in Debian. This track will have some talks in Spanish, some talks in English, explaining different Debian processes and tools, aiming at attracting locals to contribute to Debian. All about virtualization. Management infrastructure, details on virtual machine engines, insight on how to tweak your kernel for optimum virtualized performance, and –of course– how to get it all humming perfectly with your Debian packages. With an every day stronger transit to mobile computing, we are seeing a renaissance of porting. At the same time, we finally have multiarch as part of Debian. And were that not to be enough, we finally have more than one compiler that can be used for most of the software in the archive. Put all this together, and you will have a very interesting track. DebConf is as much about technical stuff as it is about building closer ties within the members of its community. Eating cheese+wine, going on a trip to the guts of a volcano, having a nice banquet… Do you want to add an activity to this pseudo-track? Knowledge can also be built by all of us putting our grain of sand. We first had explicit skills exchange sessions in Bosnia last year, and they were very well received. Feel free to propose similar sessions! And… Well, three days to DebCamp and counting. See you Real Soon Now in Managua! Many thanks and kudos to the videoteam! Thanks to the awesome work of a lot of people (some not even here), this time we did the setup in one day less then previous years, and IMHO it was mostly rather very relaxed and efficient as well! To make this happen, there will be a video training session tomorrow morning at 11:00 in talkroom 2, Roberto Terán. The training will cover both the live session setup and the reviewing workflow and is definitly still open for new members! So once again (one cannot say it enough, so please express your thanks as well) muchisimas gracias to all members of the dc12 videoteam! As Biella once said, you’re ninjas! Last and definitly not least, many thanks to our equipment sponsors too (HP, IRILL, Debian and individuals)! cheers, a very happy h01ger! Now it is the right time for you to get involved supporting the event or just enjoy the design and help us to spread the new website, f.e. by using our nice banners in the artwork section. Please stay tuned: Registration is going to be opened soon. The Debian Project is pleased to announce that registration is now open for DebConf12, which will take place in Managua, Nicaragua, from Sunday 8 July to Saturday 14 July 2012. The conference will be preceded as usual by one week of DebCamp, from Sunday 1 July to Saturday 7 July. As previous years, three different registration options will be available: Sponsored, Professional and Corporate. Through the Sponsored category, the Debian Project intend to help some people attend who would not be able to pay for their own travel to DebConf. The Corporate category, with a USD 1300 (EUR 1000) registration fee is intended for those attending DebConf as representatives of companies. The Professional category, with a USD 650 (EUR 500) registration fee, is intended for any individual or company who wants to help the conference by paying the direct costs of their attendence. It will only be possible to apply for food and accommodation grants and/or travel grants until 15 May. For more detailed information about how to register, please see the separate announcement from the DebConf team. Debian invites submissions of proposals for papers, presentations, discussion sessions and tutorials for its DebConf12 conference. Submissions are not limited to raditional talks: you could propose a performance, art installation, debate, or anything else. Official submissions will be accepted until 1 June 2012, 23:59 UTC. This year, we will continue to organize some talks into thematic tracks. If you have a proposal for a DebConf track, please contact <debconf-team@lists.debconf.org>. Previous examples included Debian Science, Debian Infrastructure, and Community Outreach tracks. If you would like to be a track coordinator, please volunteer on that list. Detailed information on how to submit an event are available on the mail from the DebConf team. 2000, Bordeaux, France. 2001, Bordeaux, France. 2002, Ottawa, Canada. 2003, Oslo, Norway. 2004, Porto Alegre, Brazil. 2005, Helsinki, Finland. 2006, Oaxtepec, Mexico. 2007, Edinburgh, United Kingdom. 2008, Mar del Plata, Argentina. 2009, Cáceres, Spain. 2010, New York, United States. 2011, Banja Luka, Bosnia and Herzegovina. 2012, Managua, Nicaragua. 2013, Vaumarcus, Switzerland. We have gone to all different latitudes (although not yet longitudes!). We have had very hot and very cold weather. Great cities and small villages have hosted us. What will be the next addition to this great list? As we approach DebConf12 (10 days to DebCamp and counting, yay! ), we should keep the future in mind. So, as every year in recent history, we will once again have a DebConf session presenting possible venues for the next year. Organizing DebConf in your city means a lot of hard work. It also means one of the greatest personal experiences you can imagine. And it is a great way to contribute to Debian. The decision process for every DebConf venue starts two years before, with presentations during DebConf(n-2). That means, if you consider presenting a bid for DebConf14, now is the moment to act! Do you have to be present at Managua to propose your bid? No. You can proxy via somebody — I’d suggest to do it via somebody who knows the location you are suggesting, but basically, choose a friend that you trust that trusts you. Of course, you can participate in the presentation session via IRC. Do you have to be a Debian Developer to propose a bid? No. For DebConf9, none of the Cáceres guys was a DD; for DebConf10, some of the people most involved from the local New Yorkers were not DDs. For DC11, none of our hosts in Bosnia are DDs. And for DC12, the dear and overworked Nicaraguan crew is also made from people interested in getting closer to the Debian project, but not DDs. Do you have to decide now? No. This is just a call for a first presentation, but the decision regarding DC14 will be taken probably around March 2013. However, giving a nice presentation at DebConf helps a lot, gives you visibility, and will get the ball rolling. Is there a geographical bias? Slight. So far, and since the second DebConf, we have kept the tradition not to repeat continents on two successive DebConfs. This is not a hard condition, however! While there is some probability that DebConf14 will be somewhere in America (the continent, of course), it depends on the proposals more than on any pseudo-rule. What do you need to start thinking about? Go visit our prospective location checklist. You can also look at what other teams have historically presented. And of course, go to the DebConf14 wiki planning page — Register there, even if you are just in the early phases of finding data. I’ve send a mail today with a summary of some of my experiences in Managua and tiny bits of Nicaragua late April / early May 2012. If you are considering going to DebConf12 (which you obviously should do as you are reading this!) go and read this mail, as it includes a thematically sorted list of impressions and advice written by Gunnar, Norman, Leo, Felix and myself, which should give you some better idea about DebConf12 in Managua! While I spent 14 days in Nicaragua in total, for the last three days I was joined by Gunnar Wolf, to make sure my impressions about the local team, the status of the preparations and everything were correct. Our visit also seems to have been very motivating to local team members, whom I’ve seen really enthusiastic to welcome a huge Debian crowd for the first DebConf in Central America in just a few weeks! Just a quick reminder: if you haven’t reconfirmed in our beloved pentabarf system, that you’ll be attending DebConf12 in Managua in just a bit more then 2 weeks, then… do so now! The reconfirmation deadline is tomorrow! The DebConf team just sent out a press release announcing the dates for DebConf12 in Nicaragua. Dates: July 1-7, 2012 will be DebCamp and July 8-14, 2012 will be DebConf.